We are delighted that you are interested in knowing more about the Colorado Staffing Association (CSA) and possible membership. Our executive director, Stephanie Ursini-Bennett, would be happy to talk to you personally, but in the meantime here is an overview. We are 1 of 37 chapter organizations affiliated with the American Staffing Association (ASA). We serve the staffing industry in Colorado by providing educational workshops, meetings, webinars, an Owner’s Retreat (annually) and an all-day conference in October. We currently have over 40 paid staffing firms as members and 28 Industry Partner Sponsors. We expect 10-12 new staffing firms to join this year. You can see a list of members, Industry Partners, and events here on our website. Our CSA dues are only $285/year and includes attendance at all events at the member price -- please review the list of events. We also have happy hour networking meet ups planned and this year our first annual Bowling Tournament. Please read on about eight more great reasons to join. Attend CSA educational events, webinars, and annual conference to stay current with changes in technology, legislation, and best practices that will help you grow your business. Being involved in CSA activities can bring your career to the next level as you learn new skills and make key contacts. CSA provides numerous educational opportunities that offer continuing education credits for ASA’s three certifications: Certified Staffing Professional®, Technical Services Certified℠, and the Certified Search Consultant®. While email, conference calls, and webinars are key communication tools, face-to-face interaction will never go out of style. CSA committees, events, and educational meetings allow you to exchange ideas and information with others around the boardroom, learning session, dinner or cocktail table and develop relationships with industry leaders. By just being a member, you are part of the strongest voice in staffing industry in the state of Colorado. Being a CSA member gives you the power to let your clients know that you belong to a member organization dedicated to advancing the interests of staffing and recruiting firms and the promotion of high standards of legal, ethical, and professional practices. CSA advocates for the staffing industry and works to increase the awareness of the positive impact staffing and recruiting firms contribute. We participate in corporate responsibility activities, recognize outstanding staffing employees and businesses, release press releases, and communicate with local media about the positive staffing trends in the area. CSA has the tools and information resources to point you in the right direction when you’re in need of ideas and know-how. Plus, you receive member-only benefits like discounted educational events, members’ only e-newsletters, discounted networking and social event registrations, and much more. 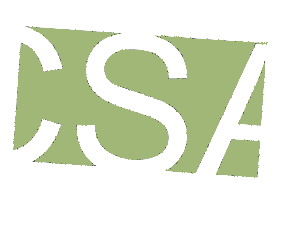 CSA membership offers you the opportunity to serve in a variety of volunteer leadership opportunities. The association cannot grow without dedicated volunteers and becoming involved with CSA will give you the ability to help shape the local staffing industry. Associate membership - $650.00 (USD) Bundle (unlimited) Subscription period: 1 year, on: January 1st No automatically recurring payments Organizations associated with the staffing industry. Refer to Industry Partner Benefits page. Bronze - $1,100.00 (USD) Bundle (unlimited) Subscription period: 1 year, on: January 1st No automatically recurring payments Organizations associated with the staffing industry. Refer to Industry Partner Benefits page. Silver - $1,300.00 (USD) Bundle (unlimited) Subscription period: 1 year No automatically recurring payments Organizations associated with the staffing industry. Refer to Industry Partner Benefits page. Gold - $1,600.00 (USD) Bundle (unlimited) Subscription period: 1 year, on: January 1st No automatically recurring payments Organizations associated with the staffing industry. Refer to Industry Partner Benefits page. Platinum - $2,500.00 (USD) Bundle (unlimited) Subscription period: 1 year, on: January 1st No automatically recurring payments Organizations associated with the staffing industry. Refer to Industry Partner Benefits page.